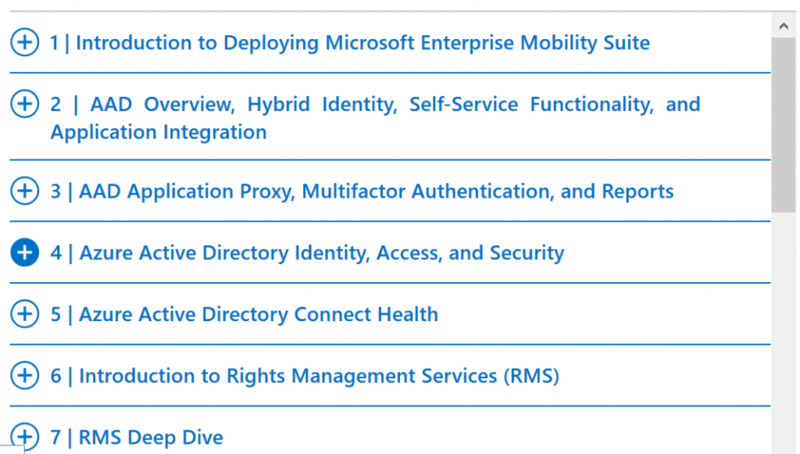 New training on MVA covers Azure AD, Intune, Information Protection, Advanced Treat Analytics, and Cloud App Security | just another windows noob ? Microsoft have released a bunch of new training material covering Azure AD, Intune, Information Protection, Advanced Treat Analytics, and Cloud App Security on the Microsoft Virtual Academy site. The course is detailed and very well put together and covers all the below sections with video and questions/powerpoints to keep you company. If you’ve been holding off to dive into EMS then wait no further, checkout the courses here on MVA. 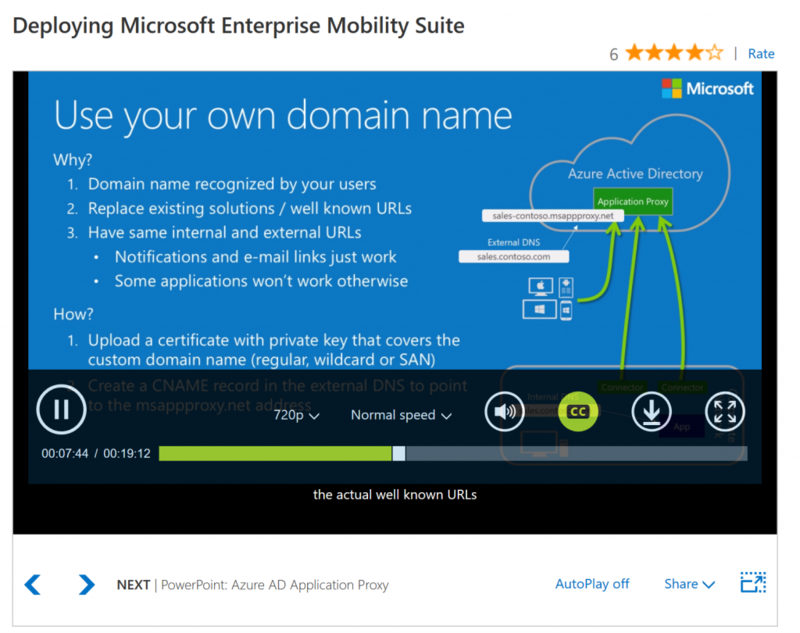 This entry was posted in Azure AD, Intune, MVA. Bookmark the permalink.